Happy Friday! It’s deal-of-the-week time, and we have a great one today. Sometimes we order something and it’s not that we don’t like it, or that it’s broken or anything, it’s just that, well, we didn’t do it right – we just didn’t do what we meant to do. That is the case today. And so to get our mistake out of our site so it will stop mocking us, we have decided to offer it to our blog followers. The good thing is that although it was a mistake – it’s still a great looking chair. 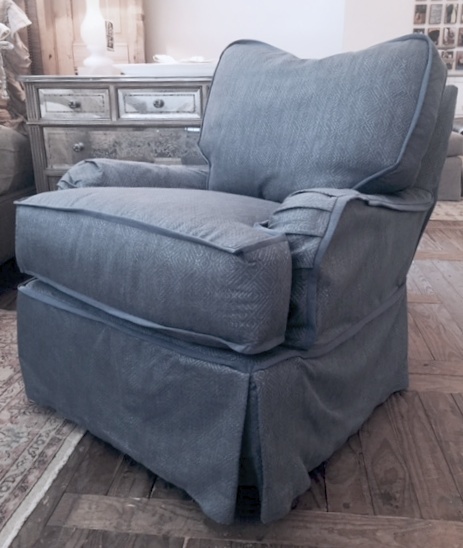 And a brand spanking new chair – it hasn’t been lurking around our showroom for months. Honestly, we would let it stay with us if it weren’t for that fact that swivel gliders are swivel-gliding all over our showroom right now. They are everywhere. So this is the swivel glider version of one of our best-selling frames. 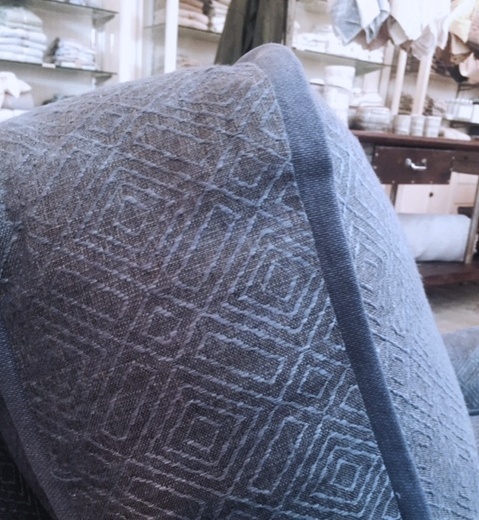 It’s slipcovered in a cerulean blue fabric that has a subtle pattern – a kinda contemporary pattern. It’s trimmed in what’s called a flat welt that’s a solid blue. It’s a fresh looking cover on a classic english-arm frame. No warranty. No Christmas card.